The Los Angeles SuperStars offering is now closed and is no longer accepting investments. 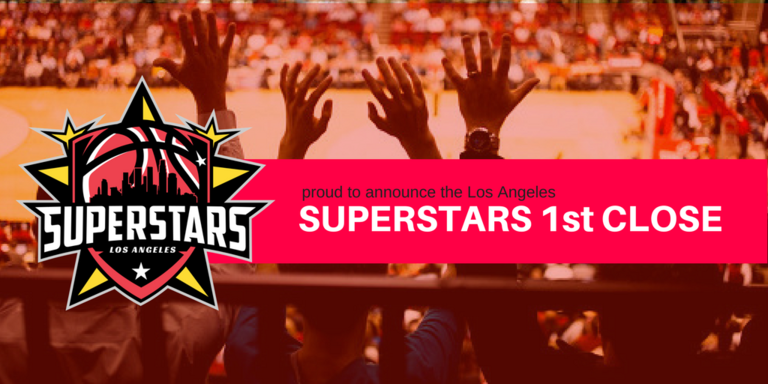 The SuperStars are LA's professional summer basketball team with players straight from the NBA. The SuperStars play in the nationwide Champions Basketball League, a competitive professional summer 5-on-5 basketball league. Your SuperStars will play seven home games and seven away games between July and August in Los Angeles nationwide and then play in an epic, single-elimination, college style Million Dollar Winner-Take-All Championship tournament in September that will captivate the sports world. The SuperStars offer fans unprecedented access to players fans know and love straight from the NBA. become an owner of the SuperStars today. Champions Basketball League is fiercely competitive 5-on-5 play that is all about the fans. Every player played in the NBA! You already know and love these players! With us, you'll be watching hundreds of your favorite recent NBA players battle it out nationwide in July, August with an epic Championship in September. Affordable tickets priced at just $25 (average) that include a meet & greet and a pregame youth shootaround with the players. In the off season, we host year-round charity events, camps and community-based programs. Champions Basketball League, a has named legendary entertainer Snoop Dogg as its Celebrity Commissioner and an Owner. 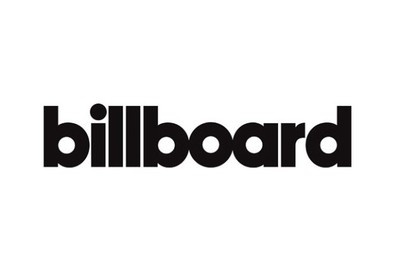 The position for the globally recognized music artist, actor, and entertainment icon is to expand the visibility and fan interest of the league. Also, to bring his diverse set of celebrity business relationships to the company. And bragging rights, come on... this one is really cool! * Tickets are actual tickets and can be sold on StubHub once issued. From being one of the marquee NBA players throughout the 80's to an award winning NBA coach, Bryon Scott has spent 26 years in the league including 3 NBA Lakers Championships (1985, 1987, 1988) and being named NBA Coach of the Year. Not to mention a native of Englewood, CA. Gary Payton is widely considered one of the best point guards of all time. The native of Oakland is a 9-time NBA All Star and an NBA Champions. Nicknamed, "The Glove" for his excellent defensive ability, he was named NBA Defensive Player of the Year. Payton has two Olympic Gold Medals for Basketball. Mitch Richmond ran the floor as a member of the Golden State Warriors and Sacramento Kings where he was a 6-time NBA All-Star, 5-time All NBA and named Rookie of the Year in 1998 and named to the Hall of Fame in 2014. Richmond was assistant coach for the St. John's Red Storm. Community is at the heart of the Los Angeles SuperStars and the Champions Basketball League. Our teams will help bring sports and the community together. What is extra special about the Champions League is that every single player to be a part of the League has committed to serving their community. The communities where they grew up, played in college and played professionally. They'll feel great and you'll feel great for helping make it possible. These memories will travel on and off the court. Leadership from the SuperStars and other Champions League teams will empower community youth and their parents, teaching about nutrition and well-being, good sportsmanship, and the importance of a healthy lifestyle. The SuperStars will host camps, clinics and school programs across the Los Angeles public school system year-round. So when fans become owners, their participation supports a greater good. Like many of you, I wanted to be a team owner. Be part of something great. Entertain and have fun and be a hero for my community. This is that opportunity. The SuperStars, the league's Los Angeles team, is composed entirely of former NBA players, including All-Stars and a Championship front office. The team is part of the Champions League, playing games during NBA off-season, taking over the summer. ESPN is our broadcast partner. The SuperStars are also part of our mission to connect with local schools across the country. Since early 2016 we have worked with school districts in New York and will roll this out in LA next, and we will change lives of kids for the better, on a regular basis. See the video above for more on this great, great mission using fantastic players who the kids love! You can be an owner. Being a fan is great, but the special privileges of ownership are now available to you. I invite you to join us with the SuperStars and help us build a great basketball team, have a ton of fun and improve our communities together. Snoop Dogg Named Celebrity Commissioner and LA Team Owner. Snoop Dogg has always mixed his affinity for sports with his love for music. Now, The Doggfather will tackle the sports world as the celebrity commissioner for the Champions Basketball League. Former Knick Al Harrington thinks the new Champions Basketball League product will serve as summer itch for NBA-starved fans. Slam Podcast shares with fans about the experience and the players in Champions Basketball League. Invitation for 2 to a SuperStars Owners Party. This VIP party will include the Team and the Front Office. 2 more invites (total of 4) to SuperStars Owners Party. The Company has no irregular use of proceeds to report but does expect to have travel and entertainment expense during the launch and operations of its business that are line with a business of its type and size. Company has no debt to it any of its officer’s employees. LA SuperStars Announce Next Close. After 5 business days, we will be conducting our next closing! The Los Angeles SuperStars have more than successfully reached our minimum funding goal and we're continuing to accept investments. Per our offering terms and because our equity crowdfunding campaign has now exceeded the minimum funding goal, we will be conducting our next closing in as little as five business days. We will be closing on all funds whose status is marked as "cleared" and therefore, those investors will be able to cancel their investment up until 48 hours prior to this new closing. Once closed, we can deploy these funds and start implementing our ambitious growth plans. The equity crowdfunding path has been an FANtastic journey for our management team, stakeholders and avid supporters. Once the close is complete, Owners will get their first welcome email and a link to the Owners Store - so exciting things ahead! If you have already invested, your packages will be combined. You can of course continue to invest. Invest for the first time, or add to your current investment. There is limited time left until the campaign officially ends, and we would love to have you continue to support the effort through your network. Equity crowdfunding is all about building a community of passionate individuals around a single vision. We thank you for your continued support. We are Your Team Los Angeles! The Los Angeles SuperStars have more than successfully reached our minimum funding goal and we&apos;re continuing to accept investments. Per our offering terms and because our equity crowdfunding campaign has now exceeded the minimum funding goal, we will be conducting our next closing in as little as five business days. We are Your Team Los Angeles. GameOn. LA SuperStars Announce First Close. After 5 business days, we will be conducting our first closing! The Los Angeles SuperStars have more than successfully reached our minimum funding goal and we&apos;re continuing to accept investments. Per our offering terms and because our equity crowdfunding campaign has now exceeded the minimum funding goal, we will be conducting our 1st closing in as little as five business days. Once the close is complete, Owners will get their first welcome email and a link to the Owners Store - so exciting things ahead!